A childhood fascination of mine that has transcended into adulthood is my love of nerds. Short nerds, tall nerds, young nerds, old nerds, aesthetically questionable nerds, sexually subordinate nerds- it doesn’t matter. The more socially awkward the better. Where did this love come from? I’m not sure. Believe me, if I knew, I wouldn’t have spent all that money seeing a psychotherapist on Saturdays and then supplementing my emotional purging with a trip to Golden Corral after every visit. Maybe it was from the hours of watching “Back to the Future”. Somewhere between the ages of four and six I discovered that Doc Brown could get my latent sexuality flux capacitor up to 1.21 gigawatts. It wasn’t long after that that I ached to get a glimpse of Egon Spengler’s proton pack. By the time I was ten, Lord have mercy for I was powerless to the charms of Dr. Ian Malcolm. I dreamt of making sweet Goldblum love to him in the foothills of misty mountains while being scouted by vicious velociraptors. All these men satiated my questionable “should we maybe have her talk to someone about this?” fantasies and made frequent appearances in my dreams wearing knit sweaters and eating cupcakes (long story), but only one man in particular held my heart on a string. Rick Moranis was my prince in starched clothing. My fumbling Lothario. My nebbish Romeo. For years Moranis held the #1 spot in my heart. His characters’ affinity for circular glasses, tussled hair, and lack of self confidence showed me everything I looked for in a man. I thought my love for Moranis was mine alone, but as I grew older, I discovered that I had to share my little man with others. Dozens, maybe even a hundred people in the world love Rick Moranis. But what is so special about Rick Moranis to others? Why do people like this guy sing about boning a giant cardboard cut-out of Moranis’ face in an alley? Me: Why do you love Rick Moranis? Tommy: Because of his glasses…and his small stature. I just want to put him in my pocket. Me: What would you do with him in your pocket? That’s not a loaded question. Ok, maybe it is. Tommy: I’d feed him powdered milk. And bits of cheese. I’ve often thought about putting him on a keychain. He’s an adorable little man. Chris: Because he was the lovable, bespectacled goofball in the films of our childhood. Me: But why do you really love him? What I think Tommy and Chris were trying to say is that Rick Moranis was possibly the greatest actor of the 20th Century. His comedic abilities blazed trails for generations of comedians, but he also proved that the nerd could overcome all adversity. Comedy AND society would not be where it is today if it weren’t for Rick Moranis. He was the lovable drunk that saved a bunch of alcoholic Canadians from turning into remote control zombie hockey players. He was the flower shop associate with the high-fastening pants that got the girl but was formerly eaten by a giant, velvety-voiced plant in the original screenplay. He was the accountant who wore coordinating velour track suits who didn’t get the girl, but later got Annie Potts. That is why we love Rick Moranis. He taught us that anything is attainable. But why do I love Rick Moranis the most? 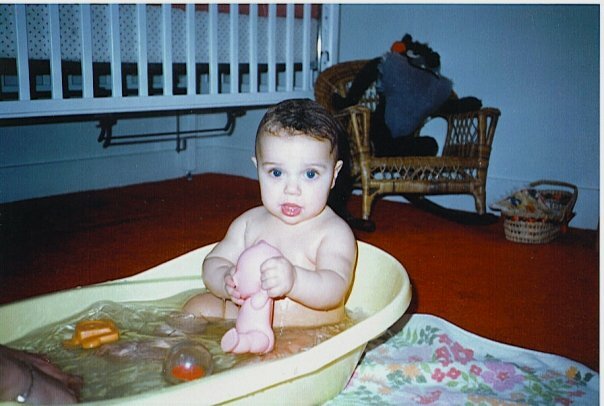 Because adult Rick strangely looks a lot like me as a baby. I think watching Rick Moranis in Honey, I Shrunk the Kids was the first time I realized that the nerd could get an attractive wife, have well-adjusted children and put the dickhead neighbor in his place. And I was 9 at the time that movie came out, so that pretty much helped to shape some of my views of the world. I don't know if I could say I love Rick Moranis. But I do like him. I love nerds, probably because I was (am) kind of a nerd myself. 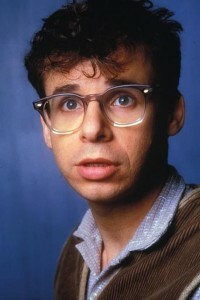 Rick Moranis was one of those people that let me know, being nerdy is better than cool. Rick Moranis is the kind of modern-day Cary Grant that a girl can actually obtain…beautifully nerdy and socially awkward…could you ask for much else? LOOK NO FURTHER…MORANIS HAS BEEN FOUND! I mean who is Rick Moranis? Uh… and where can I get a pair of glasses like that? 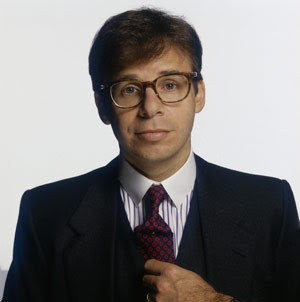 Rick Moranis embodies the "Horatio Alger myth" for nerds. Rags-to-riches–or in this case, humble hobbyist-to-high-tech supermogul–with the help of hard work and insatiable curiosity. For this reason, I also propose that he play Horatio Alger (Jr., the historical figure, a 19th-century hack novelist) in a mock-biopic, written and directed by Steve Martin. @Sophie Neutron- I'm with you on that. I've always felt like a nerd, so I gravitate towards them. Put glasses on a dude and I'm hooked! @Sarah- Two of my favorite people in one sentence. Moranis and Grant. I agree with you and will remind people of your sentiment from now on. @Girluntitled- He has a pretty good voice, no? @IT- Let's call him up and ask him! @Tee- I made lots of play on words with that movie title and I was the only one who thought they were funny. I think we all did. @Miller- You and Libby come visit me in Austin, will you? 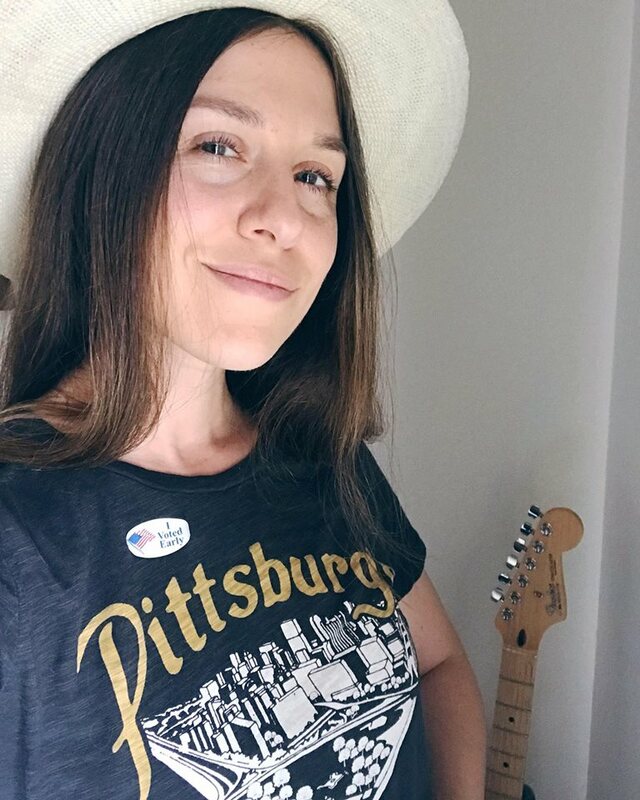 @lalalalauren- ME TOO! Two Laurens loving Moranis! i was always a wallace shawn kinda girl myself, but i can't deny the inexplicable allure of the lil fellas. keep your head up, i'm thinking about you- in a nonthreatening, 'im totally not sifting through your trash when you sleep' kinda way. i hope your tides turn soon. @ashley- HA! I love Wallace Shawn. He's a little too cartoonish for me though…at least in the lusting after dept. Actually, things have been on the up and up. It's going to be a good summer for both of us, my friend. I was somewhere between thinking boys had cooties and wanting to be a little more than friends when… I watched Little Shop of Horrors (1986)and completely fell in love with Rickypoo. I get you Hipstercrite – more than you can ever know. Let's not even get started on Crispin and Goldblum! P.S. Goldblum is totally coming back! Yeehaw! The friend of mine who used to give Rick Moranis tennis lessons says he'll visit me soon. I'll deliver the goods this time. I've been seeing a lot of this lately, glad to know I'm not the only one who crushes on Rick Moranis. I just wrote a post about this very thing not too long ago, myself. Been numero Uno on my list since 1982.
yeah, but you should watch some SCTV because guy's legit hilarious.